Spamming inboxes provides Baxter Cruise with easy money for tuition after his parents die. But then his hippie professor friend disappears and another is murdered, and Baxter's cozy world explodes. When a student asks for help on a project, Baxter discovers he's really working for a notorious cartel. As a lovely FBI agent hunts the professor's brutal assassin, every angle of her investigation points to Baxter. He's hiding something, but he's in far too deep to trust her with the truth. In this "sophisticated international thriller" ( The New York Times Book Review), an American antiques dealer turned reluctant private eye must use his knowledge of Japanese culture to unravel a major murder in San Francisco - before he and his daughter become targets themselves. 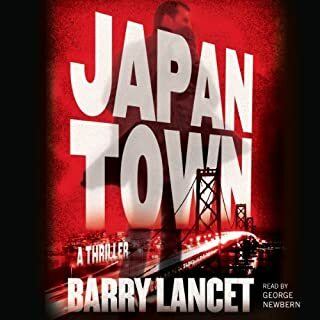 San Francisco antiques dealer Jim Brodie receives a call one night from a friend at the SFPD: An entire family has been senselessly gunned down in the Japantown neighborhood of the bustling city. Kait is about to give up hope of ever finding Vyper. 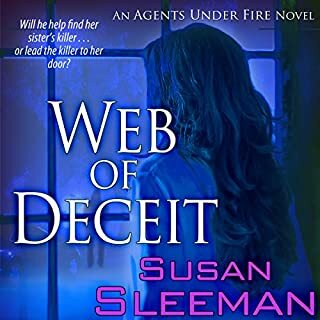 All of that changes when he goes on a murderous spree taunting Kait with clues that she and homicide detective Sam Murdock must solve before her devious brother-in-law takes another life. As the body count rises, Sam discovers the killing spree is really about striking back at Kait. He must put everything on the line - including the relationship he's developed with Kait - to ensure her safety. The killer is waiting, watching her every move, and he won't stop until he's exacted his revenge. The story and plot were really good. 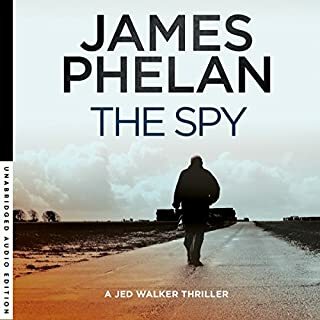 There was Action, Suspense, and espionage, spy thriller which made for a good listen. But for me there were some issues. The narrator was a little flat. Seemed to have only one emotion. And read pretty quickly. I found myself back tracking because I missed a bit of the story. As I said like the story and plot and the fleshed out characters but some parts really dragged on as things were explained like it was being taught in a classroom. I received a free copy of this book for an honest and unbiased review. Overall a good book which could have been a great book. What a thrilling book! I loved the storyline! This book was very interesting to me. I've been intrigued with history, espionage, politics and travel from my early teens. In fact, I've even met some real spy's that were in World War II. The narration on this book was good, but not awesome. I had some trouble distinguishing some of the various characters. I also thought that the narrator did not put enough emotion and accents into his performance. (I listen to audiobooks daily, so I am picky regarding the performance of the narrator.) My review is not a synopsis of the book, but rather my opinion of it. The author of this book was new to me, while I had heard the narrator before. I would look for more books by both in the future. 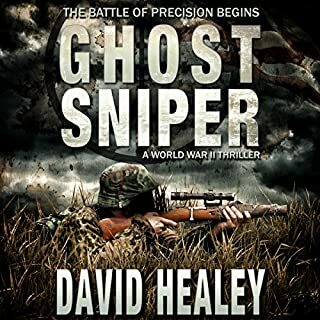 I will listen to this book again when I am in the mood for an action adventure listen. I was voluntarily provided with this review copy audiobook at no charge by the author, publisher, and/or narrator. The author presented a superbly written story with several twists and turns that kept you guessing until the end. The narrator (Tim Watch) was able to keep you transfixed allowing his voice to modulate with the various characters. This allowed the listener to know exactly who was "speaking" without having to be told. Overall I found the book very entertaining and I would definitely recommend this book to others. For almost a half century, the KGB kept secret the most devastating political plot the Soviets have ever evolved. Decades later, a KGB sleeper-agent discovers a super-secret file detailing a decades old plot to control the White House and is determined to reveal his discovery. 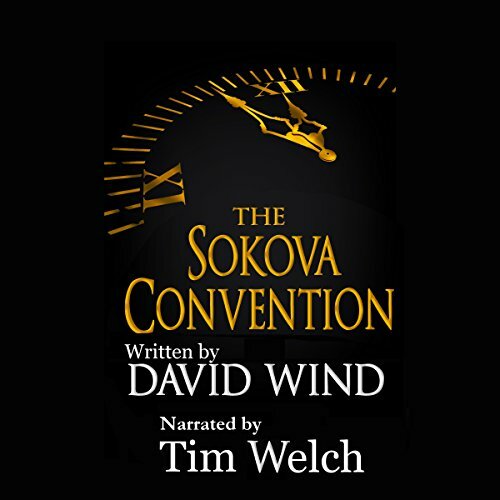 The Sokova Convention is the most interesting spy novel I've read. I could not stop listening as when I thought I had it figured out I found that I did not. 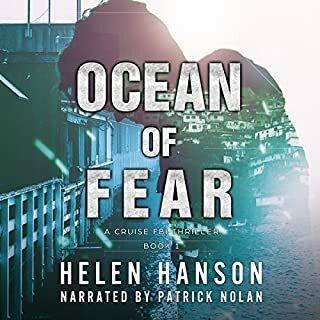 The action,suspense and espionage make this audio book a must listen. Great chapter development continues in this book. A great read that flows through the story in a way that will keep the book in your hands until it's finished.. 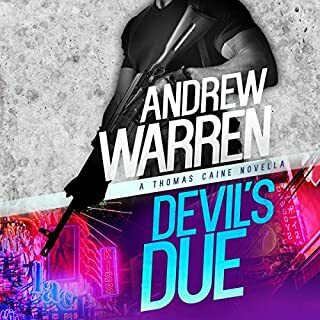 The author tells a story that takes some interesting twists along the way, throws in some misdirection and keeps you guessing most of the way through the story. The narrator was a little flat. Seemed to have only one emotion. And read pretty quickly. I like the story and plot and the fleshed out characters but some parts really dragged on as things were explained like it was being read right from a boring textbook or something. A little less explanation of things would've been appreciated, let the reader/listener do some of the lifting too. Over all my bad, not great but not bad. Would you listen to The Sokova Convention again? Why? Yes, you can connect the dots better and understand the characters roles better. A great concept and a story of intrigue. Have you listened to any of Tim Welch’s other performances before? How does this one compare? No but his cadence and knowledge of the characters brought them to life. Politics is a game of chess. "I was given this free review copy audiobook at my request and have voluntarily left this review”. Given the current political climate in USA, this book's synopsis is pretty attractive. That was one of the reasons I requested this book. But the actual content in the book doesn't hold much water. The story falls flat pretty early and follows a kinda predictable path. There weren't any "whoa" or "Edge-of-the-seat" moments really, which one would expect from a book with this premise. It was mostly a let down. What three words best describe Tim Welch’s performance? Mismatched, because Tim's voice didn't gel well with this book, imo. A far more deeper voice would've suited this story better. There was lack of intensity in the voice, which resulting in me not getting drawn in. Even when there were some "nail-biting" sequences, the voice wasn't a perfect match to it and it distracted me from the moment. That said, his narration was pretty clear throughout the book. There wasn't any "wait, what did he say" moments and I didn't have to rewind to listen to anything. I received a free copy of this audiobook from the author / narrator / publisher and am voluntarily leaving this unbiased review. The narration made it ease to follow the story. The words were clearly enunciated. Similar to another review, I did not have to rewind and have a sentence repeated. I liked that the narrator spoke with a passion which kept my attention. It was a fascinating plot and I thought the narrator was able to bring it to life. At first, it was a little difficult to distinguish between which characters were talking because they had the same voice. After the first few chapters, I was in the swing of it and didn't have a problem anymore. I personally love action and suspenseful books. This was definitely a very interesting book that allowed me to learn more about the spies in World War II. The narration of the book was great. The narrator, Tim Welch, allowed me to distinguish between different characters because he changed his tone of voice. He also let the listener know when a certain scene was more important than others. I had never listened to an audible book before and will definitely consider this in the future.